Please plan to JOIN US for a full-day of technical presentations on chromatography and spectroscopy topics. And this year, we are offering a software training session as well as the technology expo. Sessions are offered on parallel tracks, so you can sit in for one talk and move to the other session, or stay in one session the entire time. Metrohm has announced the appointment of Edward Colihan as President and Chief Executive Officer of Metrohm USA effective April 1, 2014. Colihan presently serves as General Manager of Metrohm’s near infrared business. This announcement follows the decision of Michael Melingo to resign as President and Chief Executive Officer in order to become head of marketing, sales and services of the Lab Products and Services division for Sartorius AG Analytical Instrument Group based in Germany. Biography: Colihan has served as General Manager of Metrohm’s near infrared business since its origination through strategic alliance with Foss in February 2013. Prior to being named GM, he served as Director of Marketing for Metrohm USA in Riverview, Florida. He brings over 15 years of management experience in Metrohm applications, sales, and marketing. Colihan earned an MBA from St. John’s Univ., and is a graduate of State College of New York at Oswego. 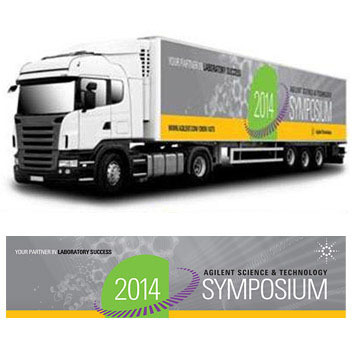 Agilent has introduced a next-generation mobile spectroscopy product. 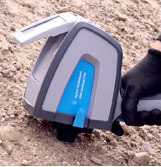 The 4300 Handheld Fourier transform infrared spectrometer is 35 percent lighter than its predecessor, offering performance, mobility, flexibility and user comfort never before attained in a handheld FTIR device. How often should you back up your computer? Well, how much of your data are you willing to lose? Most newer operating systems automatically defragment your disk and check for malware, but on a operating system windows XP or older, you should set up a weekly schedule to perform disk check and defragmentation. A bit of time up front to maintain your PC will save you hours in the long run, and give you the peace of mind that your data and instrument are safe and sound! For more information contact the K’Prime Service Department. Jeff Kelly started with K’(Prime) Technologies 10 years ago as a combined sales and service representative covering Saskatchewan. Three years ago Jeff made the move to Edmonton accepting the role of Technical Sales Representative for Northern Alberta, representing Agilent’s Chromatography and Mass Spectrometry products as well as K’(Prime)’s growing portfolio of instrumentation from other vendors. After attaining a BSc in Biochemistry from the University of Regina, Jeff spent a few years working for Environmental Labs in Saskatoon and Edmonton. It was from the Environmental Lab in Edmonton that Jeff came across the opportunity at K’(Prime) and became the company’s seventh employee. With over 30 employees at present, Jeff has seen K’(Prime) grow from the company that fit into a single hot air balloon at the first annual meeting he attended to what it is today. Jeff lives in Edmonton with his wife Jenn and two sons Ethan (5) and Ben (3). When he’s not working Jeff enjoys rooting for the Green Bay Packers, cooking, photography, photography of the food he cooks, the Green Bay Packers, playing guitar, watching nearly every sport (with the exception of soccer…which is ironic because he coaches his 5 year old’s soccer team), and the Green Bay Packers. 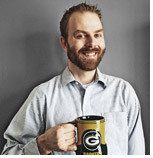 Did we mention Jeff likes the Green Bay Packers? Feel free to send your greetings to Jeff or connect with him on his LinkedIn account. Agilent’s face-to-face road show across North America gives you the opportunity to network with your colleagues, stay up-to-date with the latest science and technology from Agilent and visit the exhibit area - all in one-day at one-location. Your fingernails grow about a nanometer a second and they grow four times as fast as your toenails. Bread, beer, wine and cheese are all examples of controlled spoilage.